Take a peek into the latest fashion trends with i-Italy! We have visited Arts&Tannery Spring/Summer 2012, the boutique-expo held by the Italian Leather System and the Italian Trade Commission where the Italian leather manufacturers unveil their exclusive collections for the upcoming season. Spring is coming, and Italian leather goods never go out of season. 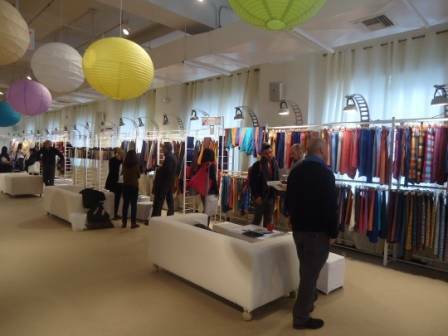 The Spring/Summer edition of Arts & Tannery, the biannual boutique-expo held by the Italian Leather System Consortium in partnership with the Italian Trade Commission, closed on February 23 after two busy days of activity at the Midtown Loft and Terrace venue on 29th and 5th in Manhattan. 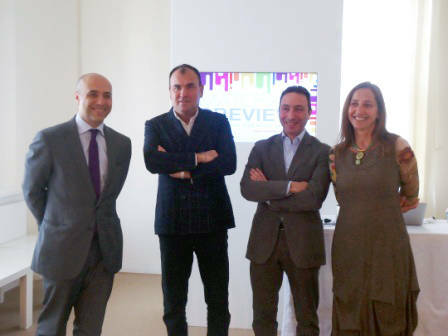 The eleven participating exhibitors, Italian leather manufacturers producing exclusively in Italy and members of the Italian Leather System Consortium, presented their exclusive collections for the upcoming Spring/Summer to the American buyers and fashion designers. “Buyers really enjoy the direct relationship with producers they can have at Arts&Tannery, and being able to see materials is extremely important for them,” says Sally Fischer, PR manager for the event. The guests could also participate in the presentation of the new trends and styles in the tannery industry held by Gianluca Gori, cool-hunter and researcher of the Consortium. Navy flairs and watercolor shades, but also chains, studs and uniform-inspired lines will inspire a “cruise mood” in fashion that will be big in the upcoming Spring/Summer. The glossy materials and the architectural structures that characterize the works of contemporary artists such as Anish Kapoor are a source of inspiration just as much as pop-culture products such as dark fantasy books and icons like Lady Gaga. Another summery trend is inspired by the extravagant and exaggerated world of gypsies and nomads from all continents: from the Hispanic-Moorish to the Turkish, from the Native Americans to Central Europe, drapes, patterns and embroidery in bright colors are the must-wears of the warmer months to come.